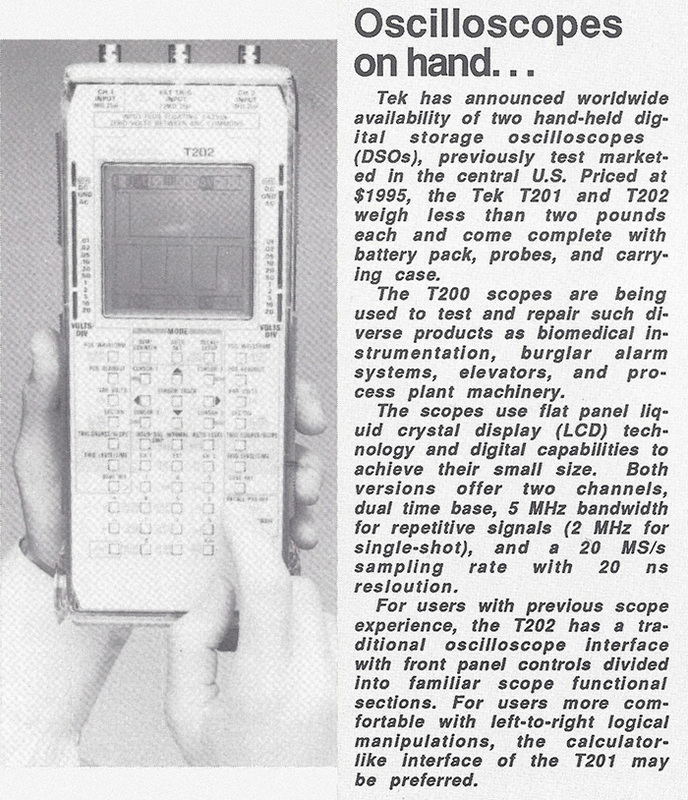 The Tektronix T200 series handheld digital storage oscilloscopes were introduced in 1988. 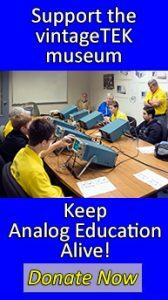 They were designed by Createk, a German company, and rebranded as Tektronix. The handheld unit did not contain a power supply or batteries. The battery was contained in a separate storage case and it or a separate external power supply would connect by cable to the bottom of the oscilloscope. This May 20, 1988 TekWeek article describes more about the T201 and T202. 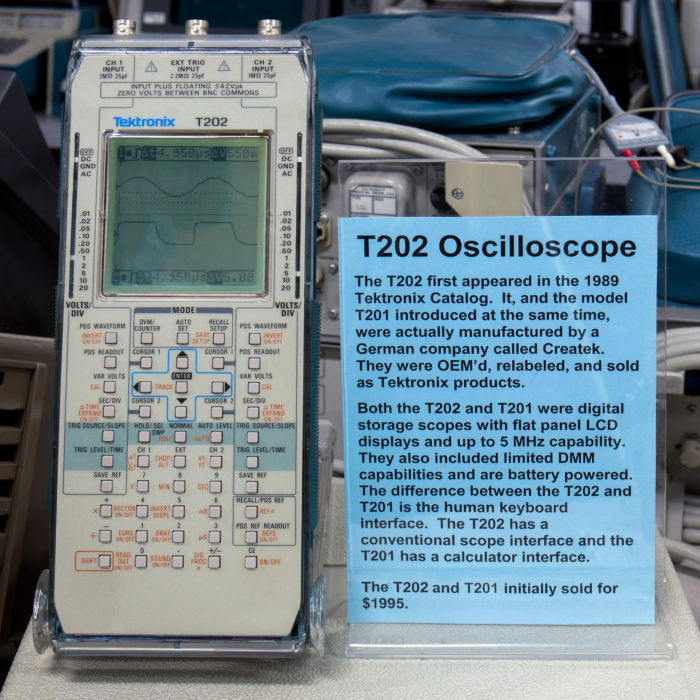 The museum has a T201 digital storage oscilloscope on display.